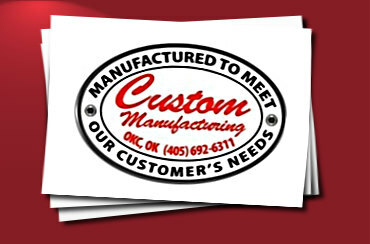 Custom Manufacturing's Octagon Receiver Containers are manufactured from prime structural grade sheet, Plate, and tubing. Our Octagon Receiver container has quality design features for maximum compaction payload and easy dumping. Container are equipped with offset hinge. This container is not designed for dry waste. 20 Yd 17' 6" 77" 96" 65" 48" 12"
35 Yd 21' 6" 108" 96" 65" 48" 12"
40 Yd 23' 6" 108" 96" 65" 48" 12"
43 Yd 25' 6" 108" 96" 65" 48" 12"
Dempster Main Rails 6" X 2" X 1/4" or 6" X 2" X 3/8"
Heil Dead Lift Wear Strip 1/4" X 1 1/2"